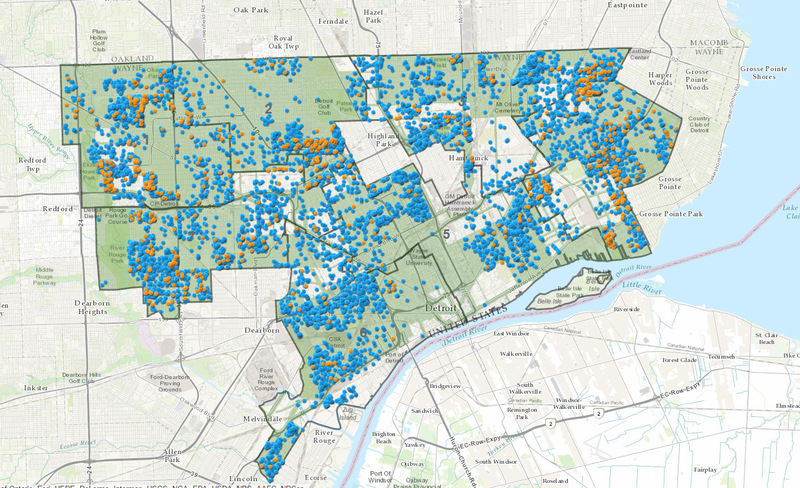 The City of Detroit has launched an interactive map of past and future demolitions throughout the city. The site was launched in the interest of transparency as the city plans to demolish 40,000 structures over an eight year period. Specifically, the Detroit Demolition Tracker maps demolitions since 2014 and those buildings that have been contracted to be demolished. Since 2014 9,591 structures have been demolished and 2,047 are planned for 2016. 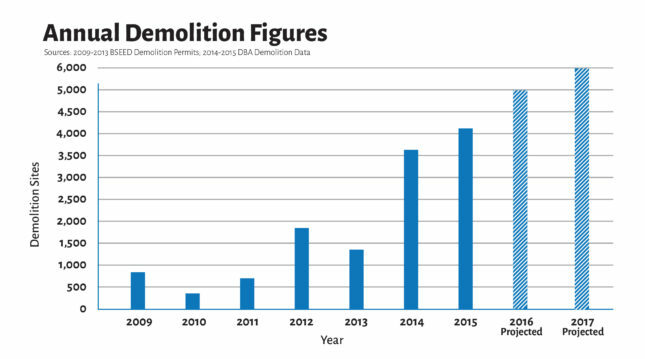 At an average cost of $12,269 for each residential demolition, the city has awarded more than $90 million in contracts to local demolition companies. The tracker is a continuation of an overhaul of the city’s demolition program, which was launched in 2014. The goal of the overhaul was to streamline the demolition process, hold contractors accountable for their work, and protect the public from the environmental hazards involved with demolition. A task force, working with government regulators, introduced regulations for contractors, hired watchdogs to monitor the program, and started a campaign to inform residents about potential hazards produced by building demolition. Now home owners are notified before houses on their block are demolished and they are instructed to stay indoors and close doors and windows if possible. Additionally, an epidemiologist within the city’s Department of Health and Welfare is tracking elevated blood-lead levels in children and respiratory hospitalizations often associated with asbestos and demolition dust. Since the overhaul, the EPA has recognized the city’s environmental standards, stating, “Detroit’s new demolition practices balance speed, cost and environmental performance.” Under the new program the estimated time to demolish a planned 40,000 structures has been shortened from 30 years to just 8 years. Most of the demolition in the city is federally subsidized by the Hardest Hit Fund (HHF). Demolitions using the HHF can only be used within federally-designated areas throughout the city. The interactive map outlines these areas, as well as the Nuisance Abatement Program (NAP) boundaries. The NAP areas are where the city has taken legal action against owners of vacant structures. Owners of distressed properties are given the option to either improve the property within six months or transfer the property to the Detroit Land Bank Authority (DLBA). Money from the HHF can only be used on houses owned by the DLBA.